Oregon Lithoprint, Inc. was created in 1963 as a sister corporation to the News-Register Publishing Co., which has been owned by the Bladine family since 1928. The two companies merged in 1983, with Oregon Lithoprint surviving as corporate name and web printing operation, and News-Register Publishing Co. identifying the newspaper operation. OLI's sheet-fed printing services expanded into web press printing in 1979. In 1983 OLI acquired Ryder Printing Co. of Portland, renamed it Bridgetown Printing Co. and turned Bridgetown into one of the region's top sheet-fed print operations. In 1996, OLI sold Bridgetown and built its new web press facility in McMinnville. 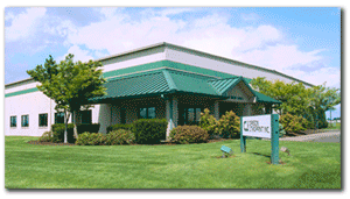 In 2012, OLI added digital printing services to its McMinnville operation to better serve existing and new print clients. Today, OLI is widely recognized in Oregon and the Pacific Northwest for its high quality web and digital printing services. The company gained statewide stature for producing Oregon Voters' Pamphlet projects from 1988 through 2000. OLI printing operations moved in 1997 from downtown McMinnville to a new web printing facility at Miller Street and Riverside Drive, featuring a new Goss Community Press in a 35,000-square-foot facility. Since then, OLI has continued to build upon a long tradition of quality printing services. The printing plant houses 55 employees, including OLI management, sales, customer service, pre-press, printing and post-press operations, along with News-Register and Specialty Publications sales and production operations.